Copyright law is rich and complex, and it serves the critical tasks of protecting an author’s original expression in literary, artistic, dramatic and musical works and of protecting a user’s ability to consume those works and to create new works from them. Universities are vociferous consumers and creators of copyright materials. Instructors facilitate access to scholarly materials for their students while researchers find a career in generating new works and adding to the scholarly discourse in their fields. Students are both consumers and creators, taking in the materials of others in order to produce course work and original research. A basic understanding of copyright law is essential to all in a university environment. 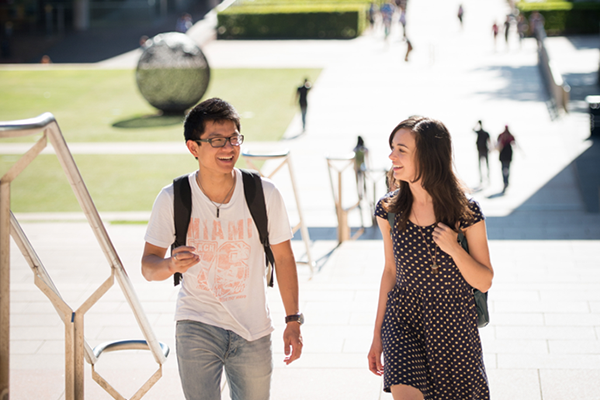 This section provides some basic information about copyright law and its application at UNSW. For general copyright queries submit an Ask a question form, visit a Help Zone or contact us. For academic queries, please contact your Outreach Librarian. For all other queries, please email the UNSW Library Compliance Officer. Find out more about what copyright is and what kinds of works can be copyrighted. Find out more about how long copyright works are protected. Find out more about copyright ownership generally and copyright ownership at UNSW. Find out more about open access basics and the Creative Commons licenses. Find out more about copyright compliance obligations for UNSW staff and students.